Have you ever seen someone’s refrigerator that doesn’t look like one? More like an advertisement board or something like that. 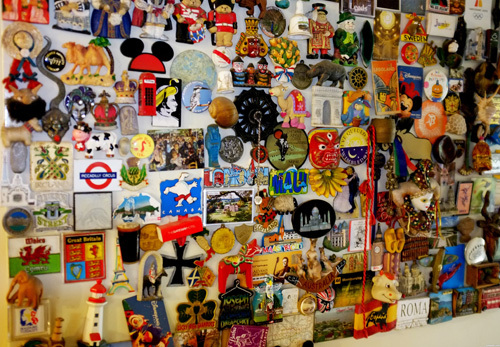 People tend to collect fridge magnets without even realizing it. You get promotional fridge magnets from a campaign, exhibition or free gift and they stick right to your refrigerator. That is the reason what get you started with the collection. 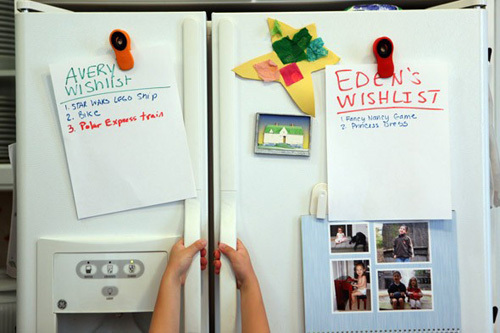 Good marketers know that most people don’t throw away fridge magnets because they could come in handy to hold up the bills, appointment card, your kid’s creative artwork or special note that requires your attention. eye. You would know where to find them when you need their service. Once you have a few promotional fridge magnets up, you then decide that the fridge looks cluttered with all of those advertisements. Then you start to look for fun and pretty refrigerator magnets to adorn the fridges with and offset the billboard look. Now your collections have become a habit, or even an obsession. You look for fun fridge adornments everywhere you go. You can find them at the grocery store or the dollar store. Some gas station quickie marts have pretty fridge magnets you can buy, too. Even if you’re not fridge magnet obsessed, chances are you have more than a couple on your refrigerator right now. Where did they come from? Do they have any special meaning to you or are they promotional fridge magnets with telephone numbers on them that you don’t want to lose? You can make use of refrigerator magnets, too. They are easy and inexpensive to order. Send out pretty fridge magnets to promote your business or to announce a new baby. You can bet they will end up adorning many fridges. My Bulk Print Sdn Bhd, the leading manufacturer and supplier of corporate promotional gifts in Malaysia offers fridge magnet full color printing that can be customised to any sizes or shapes to your liking at reasonable price, good quality and fast delivery.